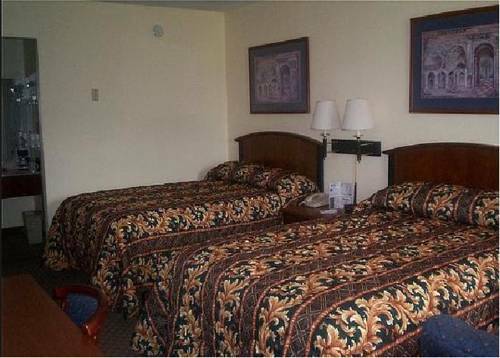 The Econo Lodge hotel is ideally located off Interstate 10,between Tallahassee and Jacksonville. This Live Oak hotel is minutes from the Olustee Battlefield, Suwannee River, Suwannee Music Park, the Sheriffs Boys Ranch and the Stephen Foster Memorial. Visit the unique state farmer's market or a tobacco auction. Features and amenities include free continental breakfast and free coffee in the lobby. Guests will enjoy the seasonal outdoor pool, and picnic area. This is a pet-friendly hotel; up to three pets per room are welcome with a one-time fee. This Live Oak hotel provides business travelers with conveniences like access to fax services and competitive corporate rates. Pet accommodation: 10.00/stay.